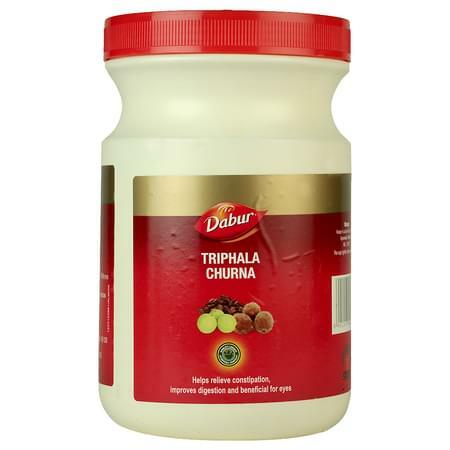 Dabur-Triphala Churna helps maintain overall health by harmonizing digestive functions and cleansing the stomach. Triphala is a combination of three well known herbs - Amla , Harad and Bahera. These three fruits help in smooth functioning of bowel and help relieve constipation.